As part of this year’s Sydney Writers’ Festival Student Sessions, I was fortunate to host a couple of sessions with British stand-up comedian Natalie Haynes and facilitate one with Randa Abdel-Fattah and Yassmin Abdel-Magied. Natalie became one of the most popular presenters at the festival. She’s probably better described as a performer, though, because she brings ancient history and the ancient mythic world alive and into the present for her audiences. She reworks stories for her own purposes, drawing on her expertise in the ancient world and on making it relevant today. She stands out because she can share her knowledge on stage, screen and in her books in a rivetting way. 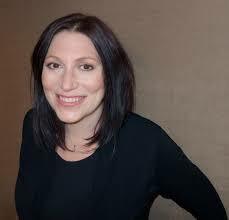 Natalie is a classicist and a comedian, an unusual combination. She used to be a stand-up comic, but retired when she realised she preferred tragedy to comedy. Her quick wit and incredible knowledge enabled her to effortlessly command the stage. 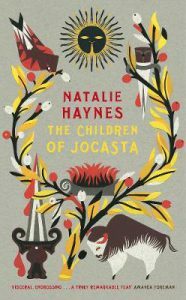 Natalie’s new novel The Children of Jocasta was published in May. It’s a re-telling of the Oedipus/Jocasta/Antigone tale and will make you fascinated by mythic history (if you’re not already). An earlier book, The Ancient Guide to Modern Life explores philosophers such as Plato, Ovid and Agrippina the Younger. In our session about ‘Mono or Multi-cultured’ at the Wharf, Randa Abdel-Fattah, who examines issue of racism, multiculturalism and human rights in Australia through her novels and essays, explored what contemporary multiculturalism and racism look like in Australia today with activist and author Yassmin Abdel-Magied. Randa has written Does My Head Look Big in This?, When Michael Met Mina and other novels, particularly for young adults, as well as essays. 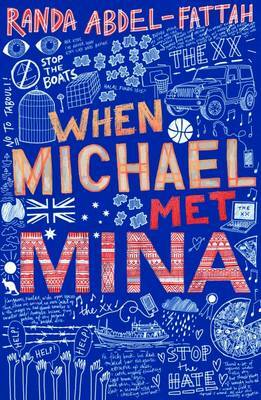 When Michael Met Mina is an important story because it gives both Michael’s view – a popular guy coming from a racist family – and Mina’s – an intelligent young woman whose family was killed by the Taliban in Afghanistan, forcing her and her mother to flee by boat. 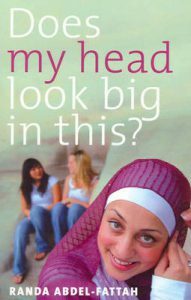 The novel airs many issues and opinions – true and false – such as people saying that ‘potential terrorists are hiding among boat people’ and people who want to be able to say, ‘Merry Christmas’ without offending anyone; to some darker-skinned girls feeling they have to use skin-whitening creams and others being intimidated and vilified. The novel gives diverse viewpoints. It’s great to read because we are exposed to different perspectives and then make up our own minds. It shows the power of literature to create understanding and empathy. Randa has also been a lawyer and has a PhD in Islamophobia in Australia. Yassmin is well known through her media appearances and I’ve learned from reading her memoir, Yassmin’s Story (which she wrote recently while in her 20s) that she loved reading Enid Blyton and her favourite character was, as you might expect, George; she deliberately created slang at school; she channels Beyonce in time of need; she loves sharing stories on stage and she learned in debating that she can argue any side of an argument! 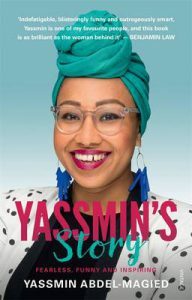 Yassmin also won Young Queenslander of the Year in 2015; as a teenager co-founded Youth Without Borders; is an engineer; worked on a rig and loves cars. I cannot do these intelligent and articulate authors justice in their explanation of structural racism and other issues here. I do suggest reading their books and online articles to gain a greater understanding of, particularly, racism in Australia.